With summer drawing to a close, it is time to celebrate the fall. Upcoming holidays are Halloween and the Day of the Dead. 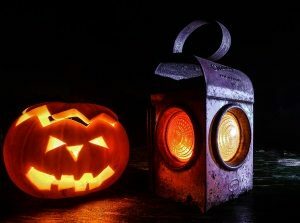 Halloween, which originated with Celtic Harvest Festivals, particularly Samhain, is celebrated on October 31. The term Halloween means “All Hallows eve”, and is the day before the Christian Feast of All Saints Day. In Mexico, the Day of the Dead (Dia de los Muertos) is celebrated on November 1. These holidays are celebrated in several ways, depending on local customs. It is a time of remembrance, and also a time to celebrate the harvest at the end of summer. 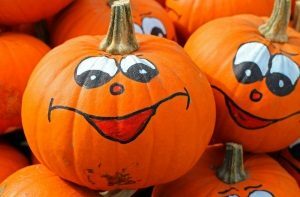 One of the hallmarks of Halloween – especially for children – is trick-or-treating. Children dress up in costumes and go door to door in the neighborhood asking for treats. You may be surprised to learn that this is not a new tradition. There are records that date back to 1895 in Scotland depicting children dressing is disguise (guising), carry lanterns made from hollowed turnips, and going door to door. The first recorded instance of dressing in costumes in North America was recorded in 1911, and the earliest known use of the term “trick or treating” appeared in print in 1927. Here at Simply Love Gardening, we want to help you get ready for this autumn holiday. 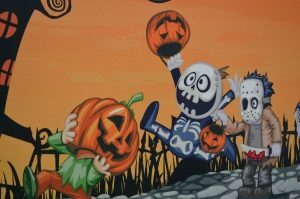 We have added Halloween Inflatables, Outdoor Halloween Decorations, and Day of the Dead Decorations. Happy Halloween!